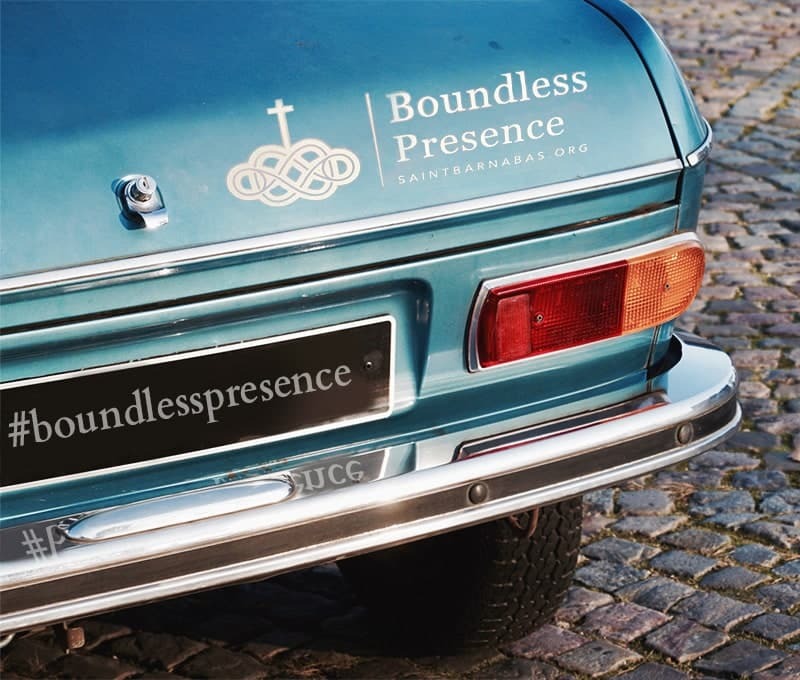 You can help Saint Barnabas in a simple way: by putting one of our lovely “Boundless Presence” bumper decals on your car! This is a gentle form of advertising that can really get around and make us known to those who might be seeking a new church home. To get your free decal, speak with one of the clergy who can get you one!